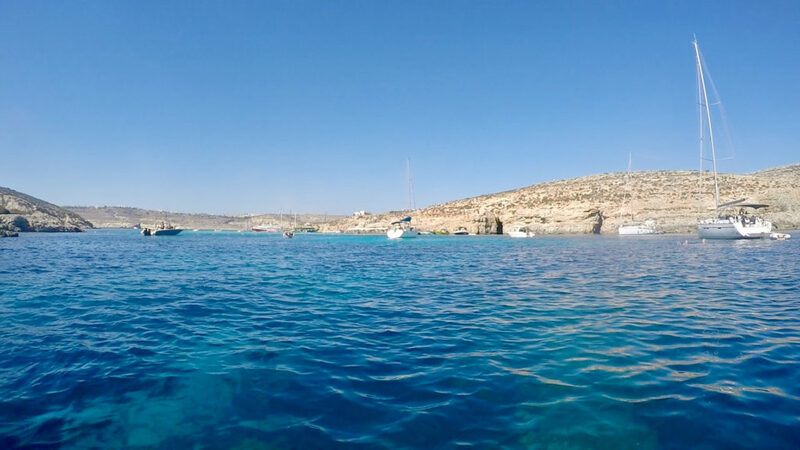 The Blue Lagoon itself offers only a small space for anchoring but next to it is a larger bay called the Crystal Lagoon. 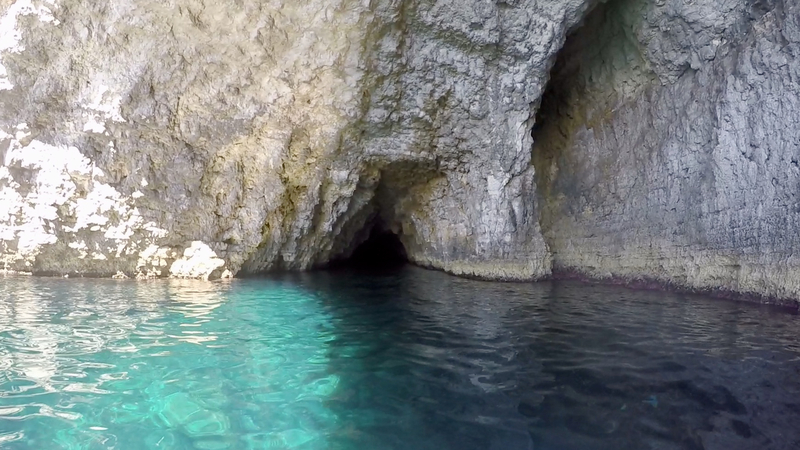 This bay actually also had patches of bright blue shallow waters and moreover, there were various caves to explore. It was still busy with boats but most of them would leave in the evening. 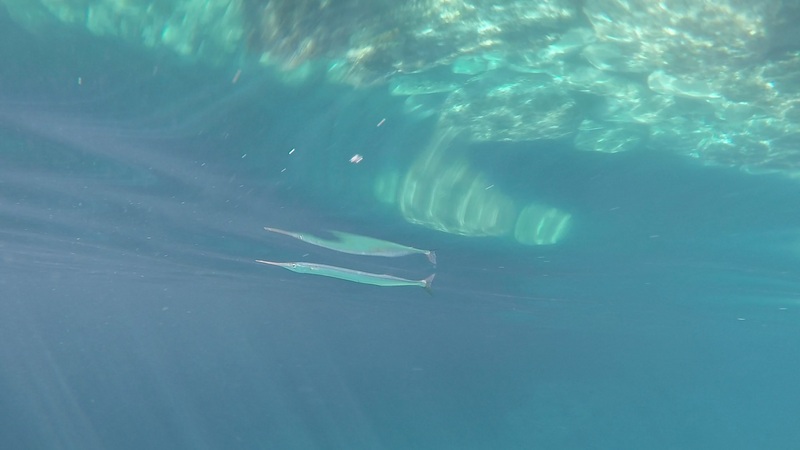 We anchored in our deepest waters yet (15 meter). The wind was very mild so with 50 meters of chain out we would be ok.
We are so glad we stopped here: what a beautiful place. 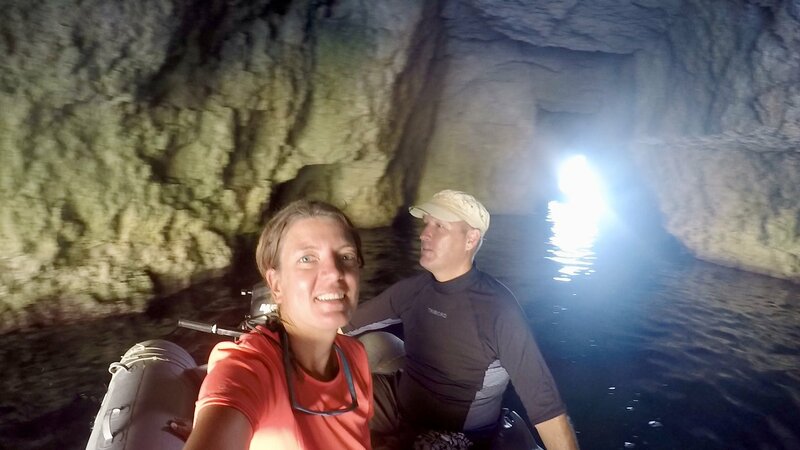 We explored the caves and beaches by sup-board and dinghy and dove in the clearest waters I’ve ever seen. 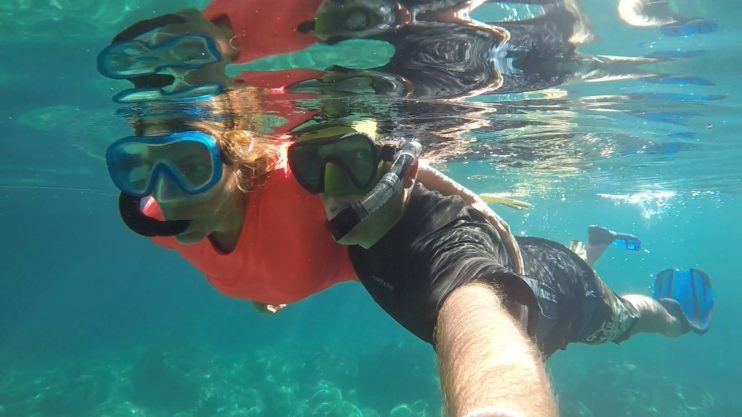 It felt like swimming in an aquarium – absolutely stunning. 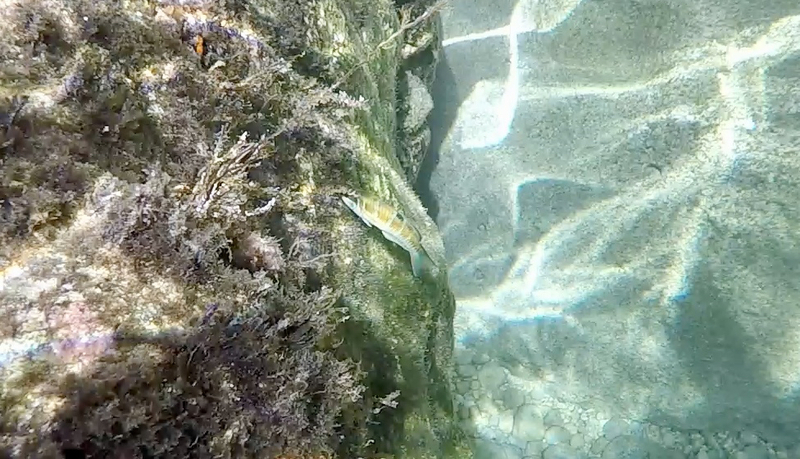 Fish life was not abundant or anything close to the colourful fish you find in tropical waters but we saw a few species we had not seen before. 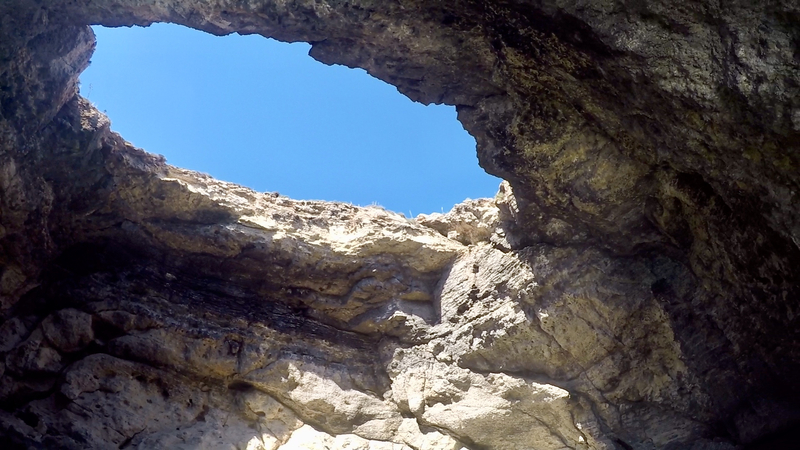 There were also narrow caves that you could swim through and one cave with a hole in the ceiling. 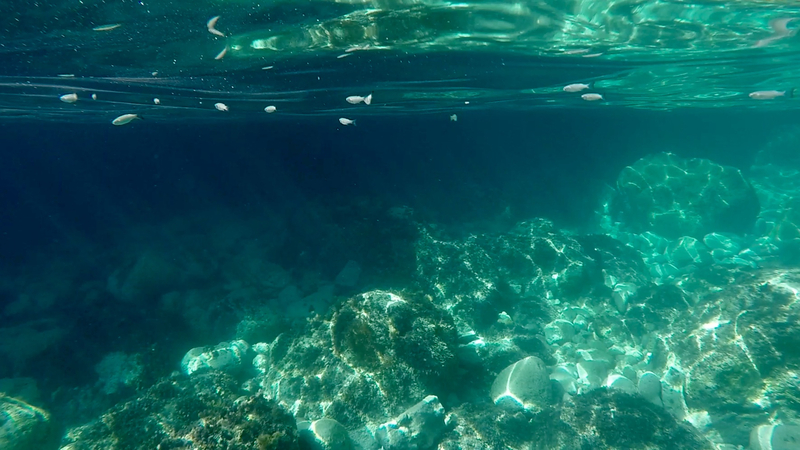 In the Blue Lagoon we dinghied past some sailboats that were anchored (there’s limited space so the best option is to go stern to to the shore and tie a shoreline) and watch the famous beach from a bit of a distance. It looked mayhem… the tourist boats drop hundreds of visitors on the small beach and the small swimming area. Music was pumping from one or two beach huts and the rocks behind the beach swarmed with people. 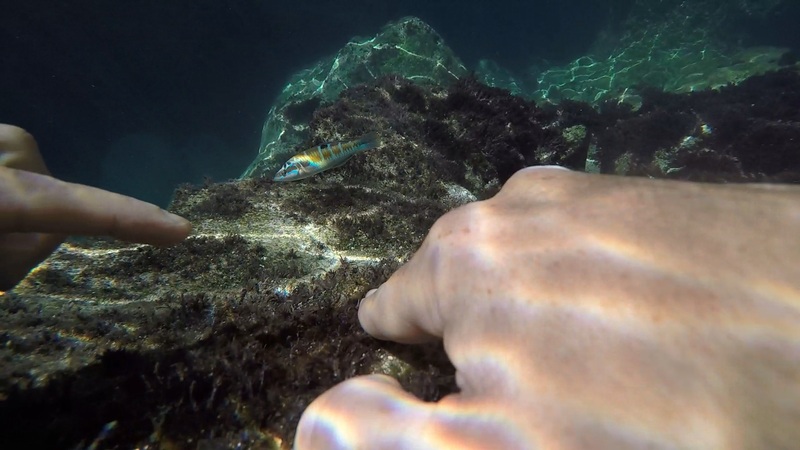 No wonder tourist boats have started to visit the Crystal Lagoon instead. As one tour-guide on a nearby tourist boat put it, while speaking over the loudspeaker: “This is much better than Blue Lagoon. 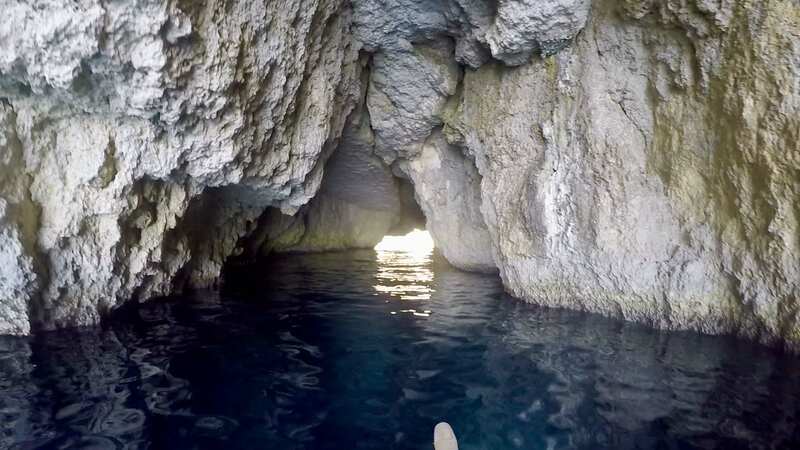 Here you will see more beautiful caves and blue-er water.” Followed by the depressing statement: “We are all dying. Have the best holiday you can, before you die”. I’m not sure talking about death is the best way to entertain your clients but he did have a point. The famous Blue Lagoon. All the tourists entered at the far end. Again, the wind forced us to move on. 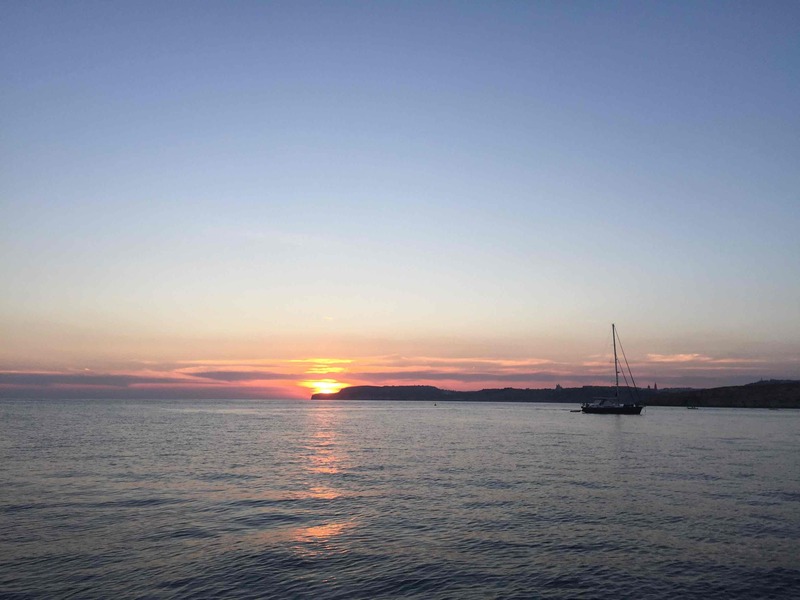 It was going to change to the West, so time to find an anchorage on the East of land. 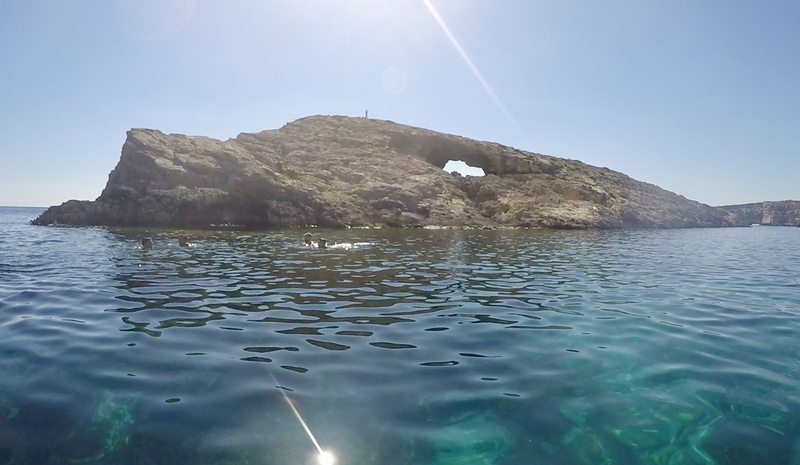 We chose to go back to Mellieha Bay. Traffic here had reduced a lot too and this time we anchored on the South side of the bay where it was easier to go ashore. It was a very convenient location to walk the Puppy, get an icecream, get Jon’s diving bottles filled with air and to do a little bit of shopping. As forecast, the weather was not so great: it was quite grey and there was a decent bit of wind, so we spend most of our time doing some jobs on the boat. 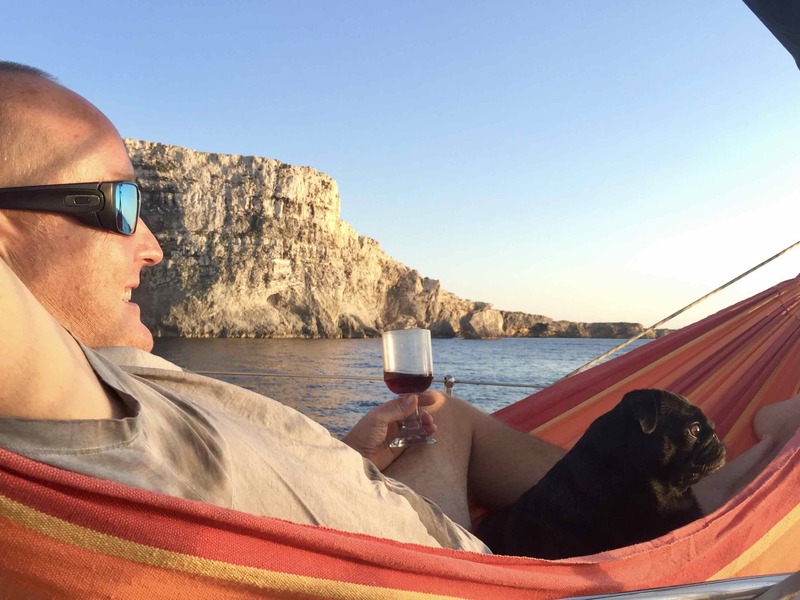 It was now well into September and we had gone all the way around Malta and Comino. 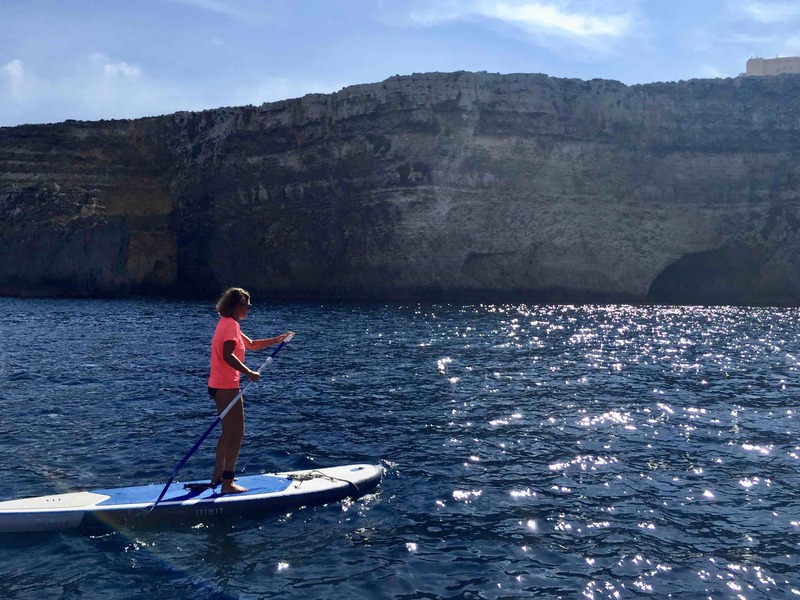 The only place we hadn’t seen much of was Gozo. 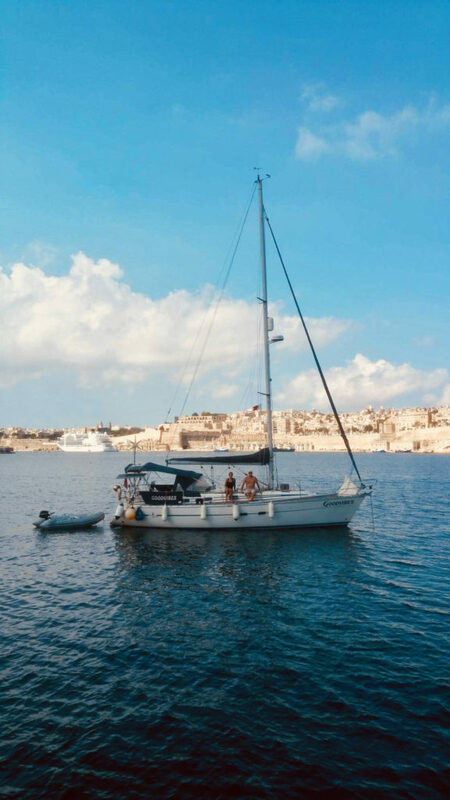 The little we had seen of our new home (Msida marina) was very positive and we were quite keen to settle back into landlife. So we contacted the marina to see if we could get a berth 2 weeks earlier than October 1st. This wasn’t a problem and they gave us a good deal on the price. 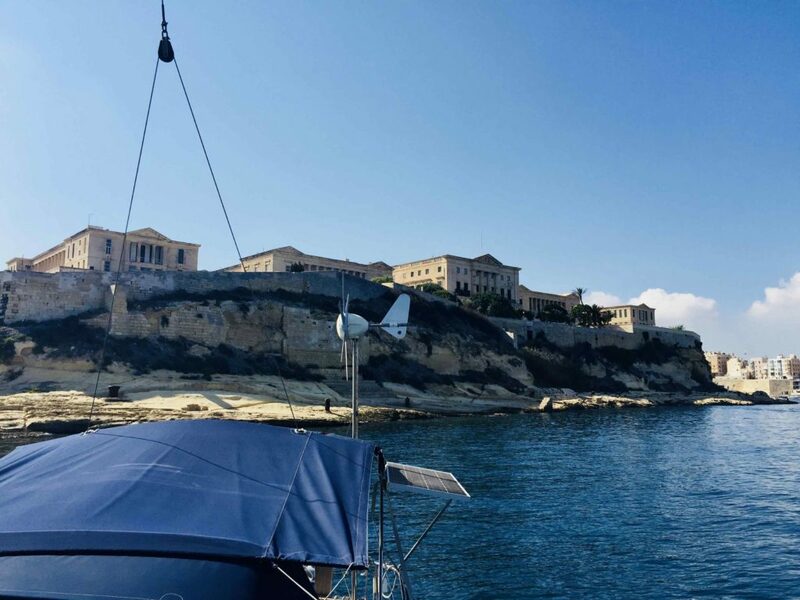 We had 2 more days to spend on the hook and moved to an anchorage very close to Valletta called Rinella Bay. A rare occasion for us to be anchored so close to a big city, but contrary to our expectations the surroundings were stunning. 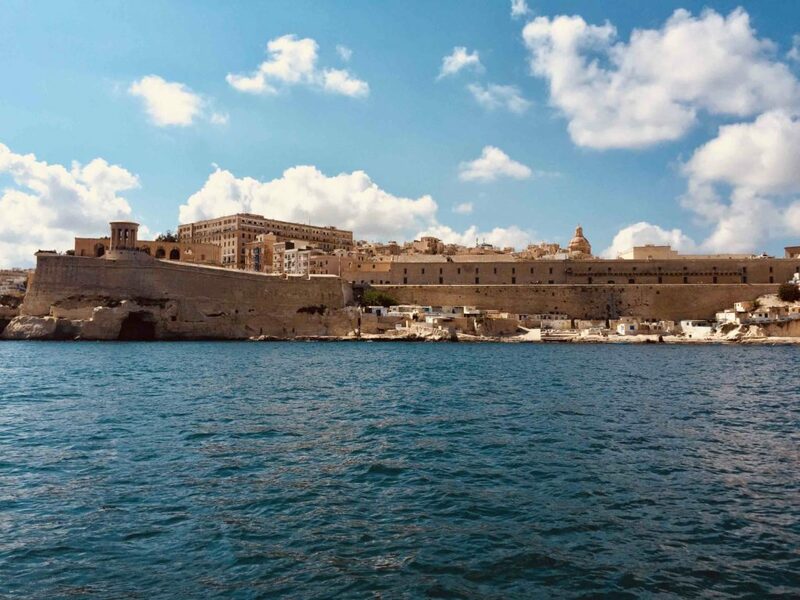 On the one side we had views on Valletta and on the other side – very nearby because we had anchored quite close to the shore – beautiful classical looking buildings in the town of Birgu. Here we also met the crew from Sailing Felix, who we had been in touch with via social media for a while. 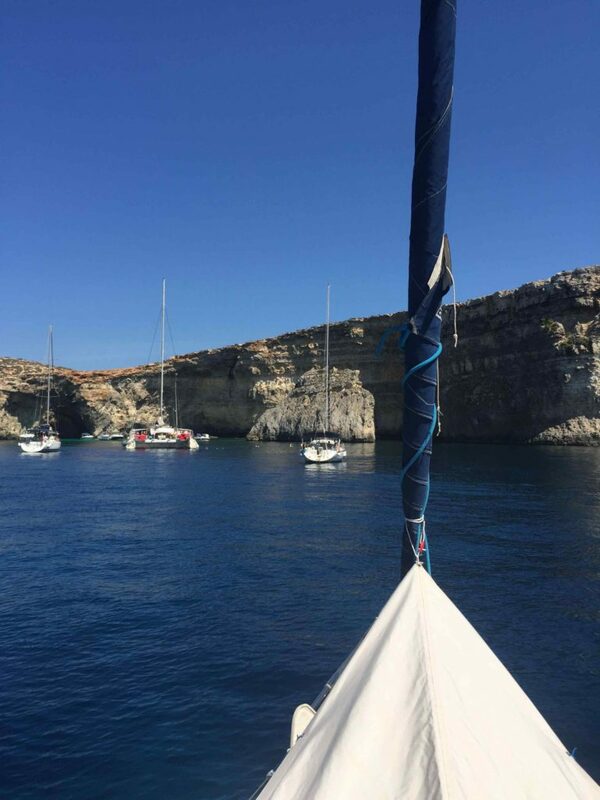 They had also been sailing around Malta for some time so we could exchange tips and experiences. At various times during the day and night we watched the fireworks displays. 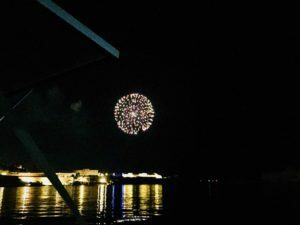 The Maltese sure love fireworks! The previous weeks, there had been various displays leading up to September 8th. This national holiday, Victory Day, celebrates the end of three historical sieges made on the Maltese islands. 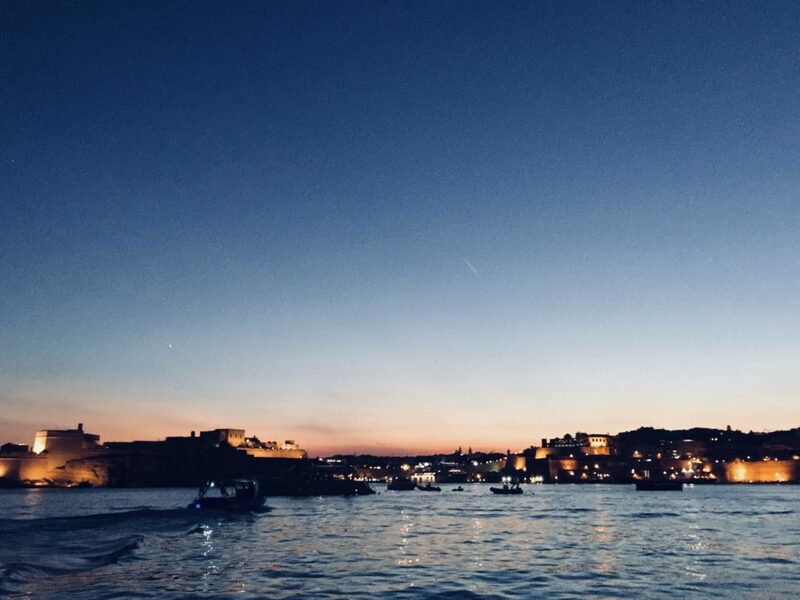 We were in the south, at Marsaxlokk, at the time and as most festivities took place in the north and Valletta, we could only hear the bangs in the distance. This time we were very close to Fort St. Elmo on the tip of Valletta where most of the fireworks were launched from. Even during the day at regular times there were loud bangs followed by bright white flashes in circle patterns. I am not sure what the occasion was for the explosions but they were almost daily and they lasted a long time. As much as we both love fireworks, you do wonder if it’s really necessary to spend so much money on it. Plus the Puppy was not too impressed with them. 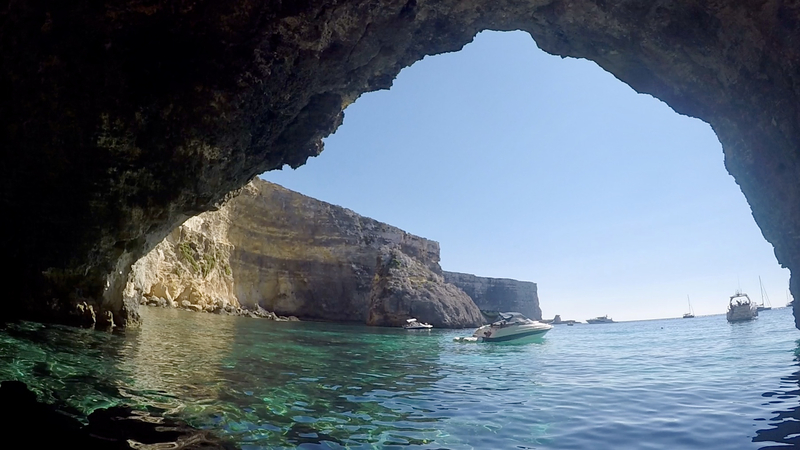 We couldn’t have asked for a better ending to our 2018 sailing season: beautiful diving in Crystal Lagoon and going out with a bang in Valletta. 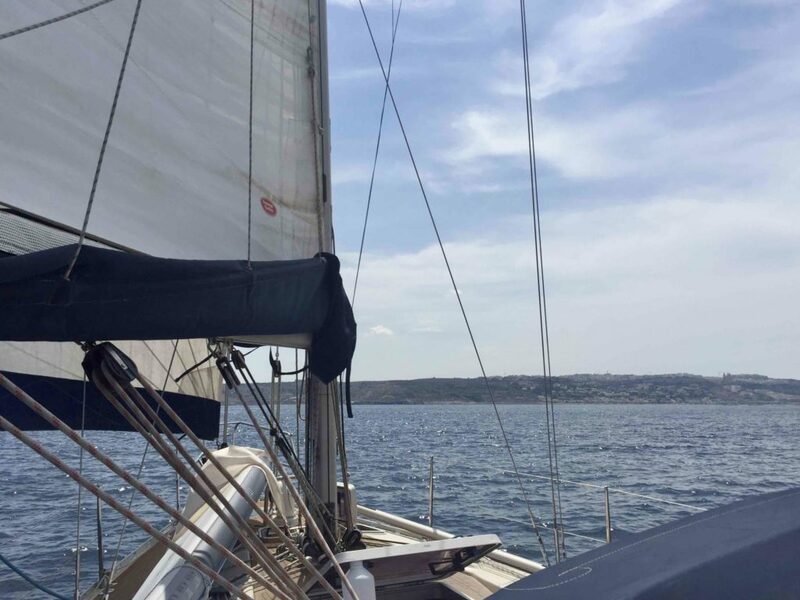 On Monday 17th of September we moored into our berth in the Msida marina, where we will stay for the winter.